This magenta and blue booklet model card is a unique fun invitation preferred for smaller ceremonies and personal invitations to friends and family. The main card is made from a blue shimmer board. 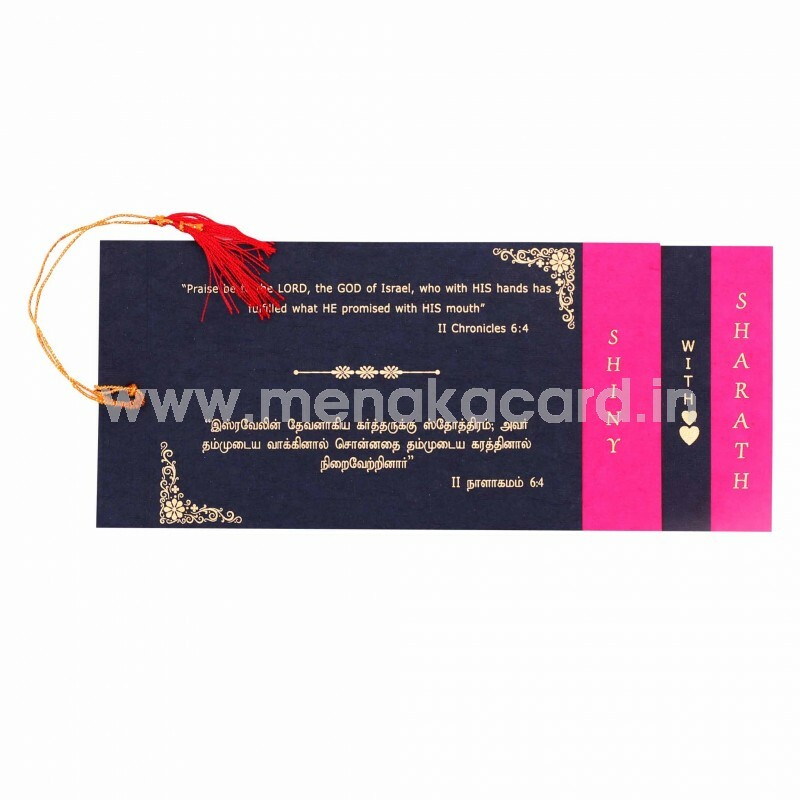 The inserts are arranged in a step model with the first flap holding the names of the couple next to a beautiful a blue ink filigree ornament design. 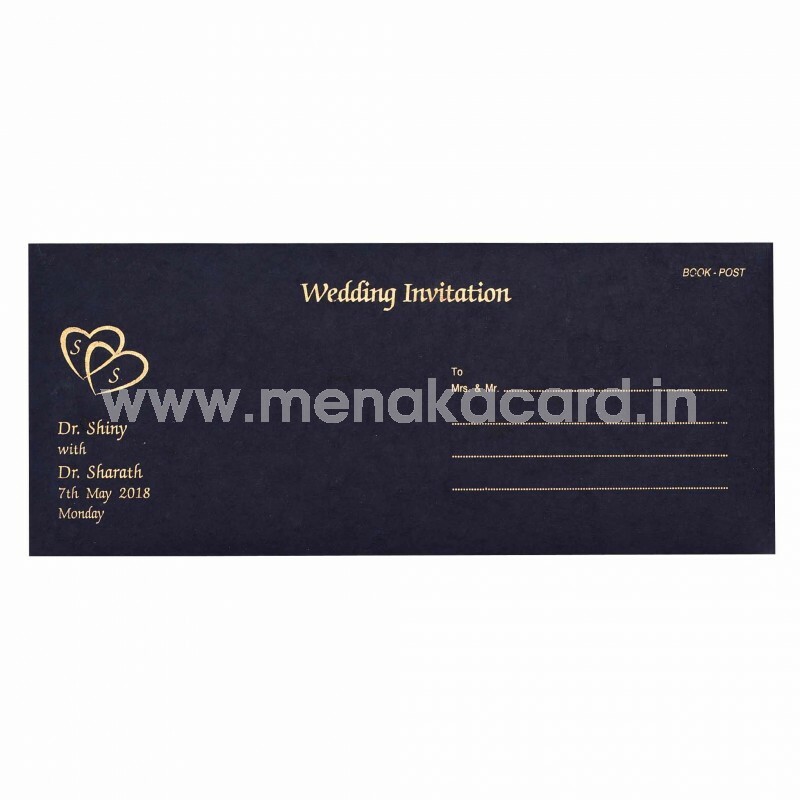 The inserts are printed in alternating combinations of blue and gold according to each event or ceremony and are all tied together on the left side of the card by a gold thread.